Asia de Cuba Executive Chef Luis Pous tells us what happens beyond the pass at one of London's most renowned restaurants. 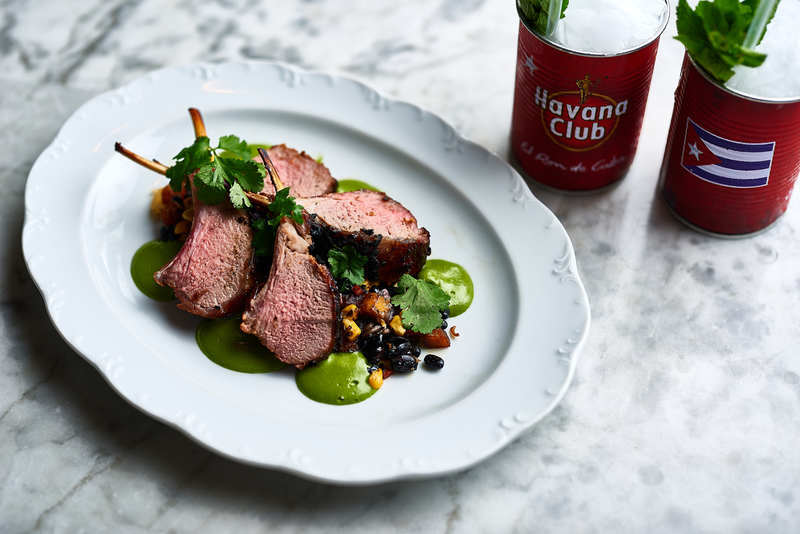 In celebration of our new selection of dishes at Asia de Cuba at St Martins Lane, we caught up with Executive Chef Luis Pous to talk all things food and flavour. Having worked in some of the most renowned kitchens across the world, Chef Pous tells us all about his culinary inspiration and ceviche secrets. Tell us, what inspired you to start cooking, particularly with a fusion of Asian and Cuban flavours? I grew up in Cuba where, due to a large immigrant community, there is a huge Chinese and Filipino influence on the culture. I always loved going with my family to different restaurants run by people from varying cultures, and seeing the influence of Chinatown and Havana. What inspires you when creating new dishes? Latin and Asian foods are both very flavourful so it’s very easy to match ingredients, but inspiration can come from many places at any time. Sometimes I will discover new flavours or ingredients when I visit different restaurants and markets, and then look to see how I can incorporate them into dishes, and sometimes I will dream up a dish and then work backwards to create it. I like to eat simple food myself, so the dishes I create are never too complicated – I believe less is more, and you can do so much with just a few impactful flavours and ingredients! I play golf and go running often, and I find that when I’m out of the kitchen and can let my mind wander, I have more free space to come up with new and exciting things. Sometimes the best ideas come when you aren’t looking for one at all! Ceviche is a big part of the Asia de Cuba menu, but what is the secret to preparing the perfect ceviche dish? Firstly, fresh fish is an absolute must! Then, how you prepare the dish is the most important thing. You have to add the dry ingredients – cilantro, onions etc. – first, then the salt and flavouring and then finally the citrus. You want the dry ingredients to be able to penetrate the fish; if you put the salt or citrus on first, it will seal the fish and you will lose all of the flavouring! Preparation is key when making a delicious ceviche. What is your favourite dish to prepare, and what is your favourite dish to enjoy yourself? I love simple food; my favourite food to eat is lechón (suckling pork), with vegetables and grains. 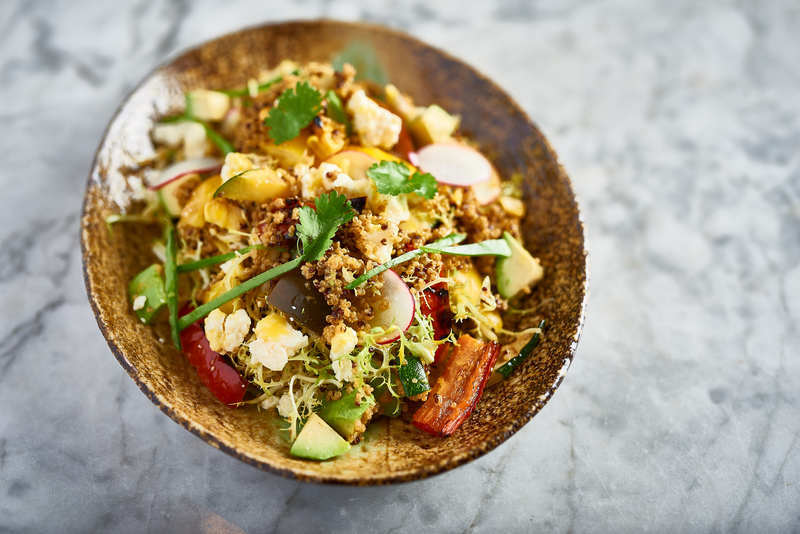 As everything at Asia de Cuba is served family-style, it means that everyone can get a taste of everything – to play with the different dishes and flavours. The way we present it is true to the Chino Latino way – rice, beans and sauces – allowing us to give the most authentic dining experience possible. Aside from Asian and Cuban, which other cultural cuisines do you love to cook and eat? I really like South American, Mexican, Peruvan, Korean and Japanese cuisines – similar Latino and Asian cultures, but different regions and countries allow for different cooking methods, ingredients and flavours. I find Korean cooking fascinating, and it has a lot of different flavours; it’s a very natural and simple cuisine. For example, Korean barbecue is such a simple way to prepare food, but it allows for so many flavours to come out and is an overall exciting and enjoyable dining experience. Which areas of cooking would you like to experiment in more? I’m really interested in the Japanese robata grill – similar to barbecue, it is where you slow-grill skewers over hot charcoal. I’d love to be able to replicate this at Asia de Cuba with a Caja China grill. Essentially, it’s a wooden box made from flavourful wood that cooks steak and skewers when placed on top of hot charcoal in the centre of each table. It’s really interactive and is a great way to add a little more entertainment to your dining experience. Where in London do you visit for culinary inspiration? When I’m visiting St Martins Lane, I’ll always take a walk through Chinatown – there is always so much going on, and so much to see and try. I always go to the fresh markets to get a feel for the vegetables and fish, too. Of course, London has a lot of great restaurants; I actually try not to visit them! I want to make sure that my ideas are my own; otherwise you see a new dish or an ingredient used in an unusual way, and end up replicating it even without realising! I’m the same with cookbooks; I just want to make sure my ideas and creations are always original. The great thing about social media is that if I do think of something new, a quick search on Instagram lets me see if it has in fact been done before. What is your number one tip to amateur and budding chefs? I cannot stress the importance of learning how to cook properly above anything else. Forget about Instagram and celebrity chefs – learn how to be a flawless and innovative cook, and everything else will come. Being good is different to being ‘cool’, just get your head down and learn from the best! 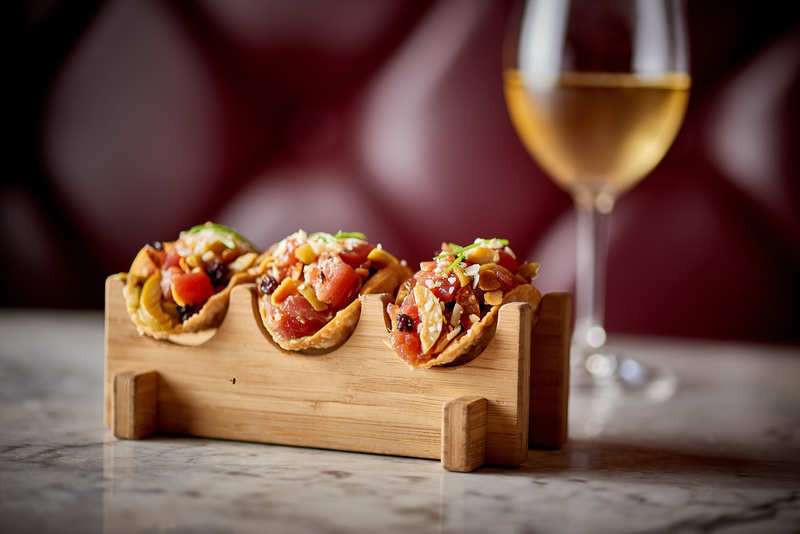 Discover the new Asia de Cuba menu here, and call 020 3700 5588 or email us to book your table. Don't forget to follow Chef Luis Pous on Twitter!